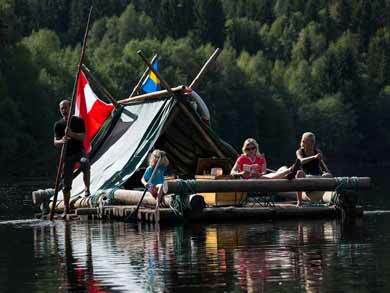 Timber rafting is a very unusual holiday indeed! 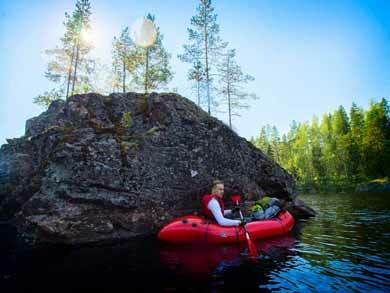 Due to the special water conditions required (an unregulated river, wide and slow-flowing), the River Klarälven is one of only a very few locations in the world where multi-day timber raft tours are possible. 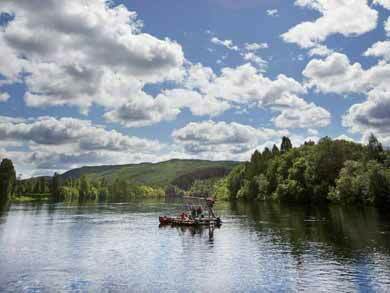 Release your inner Huckleberry Finn to construct your own timber raft then pilot her down river on a self-guided tour ideal for adults, active families or groups. Camp wild along the riverbank covering 50-100km over 5 or 8 days for the standard tour, or choose "Timber Rafting with Added Comfort" for a full-service alternative. 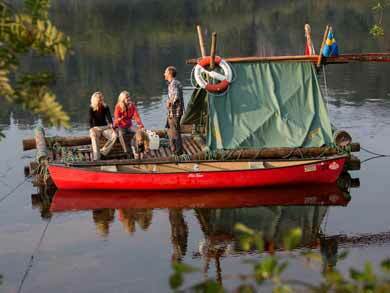 For a shorter trip, the "Taster" is the perfect add-on to one of our canoe tours. For an alternative way to explore the almost limitless network of waterways of the Nordic countries, packrafting is a flexible and fun option suitable for all abilities and with the added convenience of being able to deflate your craft and put it on your back when it's time for a portage!